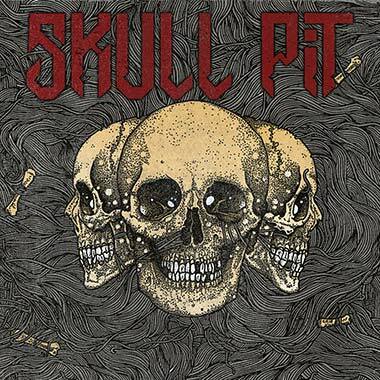 Skull Pit is a tale of two musicians from opposite sides of the heavy metal spectrum and the planet. One hailing from Tokyo/Japan, the other from New York/USA, and meeting each other in cyber space in order to strike up a friendship and musically celebrate the spirit of their youth. Prior to writing and recording Skull Pit‘s debut album, founding members of Exumer, Mem V. Stein, and Church Of Misery‘s, Tatsu Mikami, corresponded for some years online due to their mutual love and respect for each other’s band, before embarking on their own joint venture.